Hey there! So, again, my name is Skye Turner and if you read my last article for Shona, you’ll have read me talk on depression and the stigma around it and my experience with it along with social anxiety. But there was another aspect of my life I struggled with that I refrained from writing about due to me only coming to terms with it properly at the time I wrote my article a few months back, and even then it was a hard pill to swallow. Even through dealing with my anxiety and depression, each day becoming happier and more adjusted, my depression pretty much completely gone and my anxiety something I do still have to deal with on a continuous basis but definitely something I cope better with, there is one thing I have that has defined me in a way that I, for so long, refused to be defined by. I accepted my depression and anxiety because as I understood at the time, it could be eventually possible to get out of those things, but the other thing I had was something that would always be part of my life and according to doctors, I had always had. 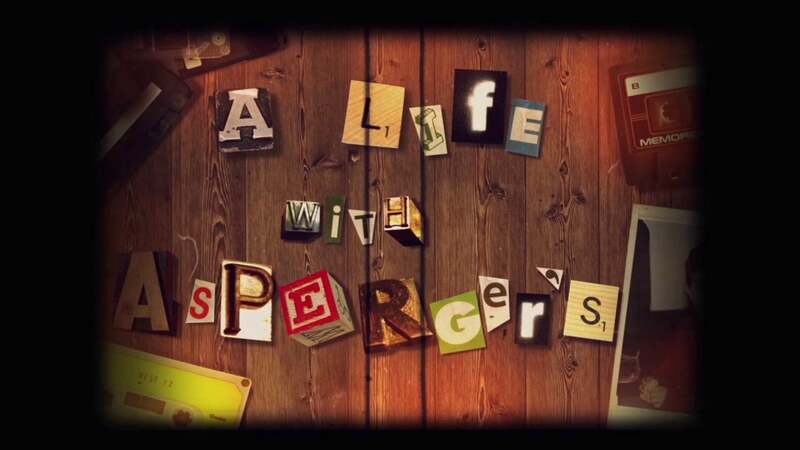 I have Asperger’s, a condition on the Autism spectrum that, basically, means…I’m a genius. Just kidding! I am in no way a genius, just somebody who thinks and acts a little bit differently than the average person. And I’ve learned to embrace that! If you had an awkward interaction today, I’ve had three. If you’ve talked about something you’re really passionate about without realising the person you’re talking to has fallen asleep out of sheer boredom, I made a whole room fall. And that’s just life- if we were all made out of the exact same mold, allowed ourselves to be bended and shaped by society’s idea of normal, we would all be so boring! If we liked the exact same foods, the same clothes, the same music, the same books or movies, all coped with emotions or problems the same way, all had the same beliefs, there would be nothing to talk about. Everyone would be the very definition of normal, and I don’t want to be normal, I want to be me. So who am I? I am a child who, by all accounts, was- and still is, but I like it- weird. I was fascinated with literature, you are never alone when you have books and so by that logic I was constantly having mini seshes. I was fascinated with history and sci-fi, two quite contrasting genres, one fiction, one non-fiction, constantly living in a world that wasn’t my own, but one that was either created by someone’s imagination or was long since gone, both sending my imagination racing. Always living in either the past or the future, I was never really in the present. Because, really, I found my own world so much more interesting than the one I thought I was doomed to live in. You may think these are just the thoughts of every child, that we all have overactive imaginations- a word I hate because I don’t think there’s any such thing as being too curious or thinking too much, I love to think about life and do so on a regular basis, oftentimes having to pull myself back on the brink of falling into an existentialism hole that could last hours, but here’s the thing. I had humongous difficulty interacting with other children. I found it extremely difficult to relate to them, I didn’t want to play the same games they wanted to play and I had completely different interests- when I wanted to talk about my latest phase such as Egyptian history they wanted to talk about the latest boyband One Direction. I also couldn’t pick up on social cues as fast as my peers, whenever a friend of mine would be upset or crying, I would hug them and try comfort them, I had empathy for them but logistically, in my mind, I wasn’t able to comprehend some of the things they found upsetting that I wouldn’t even notice or would simply find trivial. I would also take a long time to adjust to new environments or new events, and would oftentimes meet shocking or new news with indifference until given enough time to properly process it. I liked new things, but didn’t like change. Another difficulty I had was my language. When I was around four, I taught myself to read. My Mam used to read to me and I wanted to learn myself, so before I joined school, I already knew the basics. I used needlessly big words for things, and wasn’t able to speak normally. These things doesn’t make me any better or any worse than the other kids, but unfortunately it did eventually result in me being bullied for what they perceived as odd behaviour. I would do certain things like take my shoes off in class and refuse to put them back on or feel overwhelmed with the amount of people talking to me or wanting my attention so I’d need to be left alone to recharge for a while. I’d do a little involuntary dance whenever I was excited, and I got excited a lot. I could never sit in one spot either, I still can’t, I’m constantly moving or shuffling around in my chair, almost always lost in thought, a very common symptom in the autistic community. This really took a toll on me, and when I was tested for Asperger’s around the same time as my anxiety diagnosis, I was ashamed. I didn’t want to have another thing that made me ostracised from society when I wanted so badly for people to just like me for me and understand me because it was too hard to change, no matter how much I had wanted to. I was alone at lunch time almost every day of sixth class, I had no friends, I had a reputation as “that weird girl who sings in mass sometimes” all through my year. What’s ironic is that when I was younger and had the opportunity to have friends, I didn’t really take it. I liked being on my own more than with other people, there are often days I’m still like that as I can be pretty introverted, but once that opportunity was completely taken away from me as a pre-teen, it was all I wanted. Because it’s about choice. Even if I was someone who didn’t seem to want friendships because I was different than other people and had an odd sense of humour and probably seemed a bit emotionally dense, everyone could still use a friend. I’m not blaming them for this, everyone has their own issues in life and I know at that age there was no real awareness brought to Autism, I didn’t even know it was a thing until a few years ago. I take comfort in knowing what I am, this is something I have, something that does define certain aspects of my personality but does not define me as a whole. Because it doesn’t matter what “disorders” you have, it matters how you use them. I wouldn’t change who I am or what I’ve went through to get here for anything, because I have autism, autism doesn’t have me. So, again, who am I? I am a teenager who is speaking to you all about something I have not talked about properly to anyone before, someone who has had the honour of joining mental health organisations such as Cycle Against Suicide and Webwise at an ambassador status, I am someone who writes for Shona whenever I can, I am a Meitheal leader and the chairperson of my student council, I am someone who loves to sing, dance, loves animals, my family and my friends of which I can happily say I have quite a few who I appreciate and love and even some friends in school too! I’m no longer bullied, and when people think I’m weird, I tell them “I know.” Because who isn’t, in some way? I’m also someone who is terrible at Maths, so if you ever want me to do any sums for you just because I have autism, and we’re stereotyped as being good with numbers, you are out of luck. I can stack all your books in alphabetical order or talk to you about the true meaning of life for a good few hours though, if you want. I’m someone who hopefully will be a social care worker or psychologist in the future who definitely hopes to work with people or children with autism at some point, but most of all- I’m human. I’m not a robot, I’m one of you. Ireland does not have a formal Autism registry, something I believe we should change, so we don’t have exact numbers on how many people have autism here. However, it is estimated that 1 in 100 people have autism in Ireland, so if you’re trying to find the person on this website who has autism, it wouldn’t exactly be a hard search! But think about your work life, your school life, your family, your friends. Do any of them have autism? Chances are, several do. And that’s great! If you have it, you are not someone who should let preconceived notions or self prejudice get in the way of accepting who you are. You’re special because you’re you, you are a person worthy of love and happiness despite what some people in the world may think. So what can we do to bring awareness to Autism? Well, my first recommendation is definitely to watch the RTÈ documentary, Autism and Me, on the RTÈ player website or app. I’d also recommend looking at the great speeches by Adam Harris, the founder of As I Am, an autism awareness organisation, and someone I personally look up to, donate to websites or even read about all the great work you can do. Attend events, read books, do whatever you feel you want to to bring awareness to something that I believe is virtually unheard of in Ireland, talk, educate yourself and most of all, accept the “weird” parts about yourself and other people! We should all be allowed reach our potential and flourish in all walks of life, we are all different, and the very things that make us that way, are what make us human. You are not supposed to think like me and I am not supposed to think like you, that’s what’s beautiful about it. That’s what makes life worth living! As Skye mentioned ASIAM are an amazing organisation that provides information, advice and support. You can check them out here.